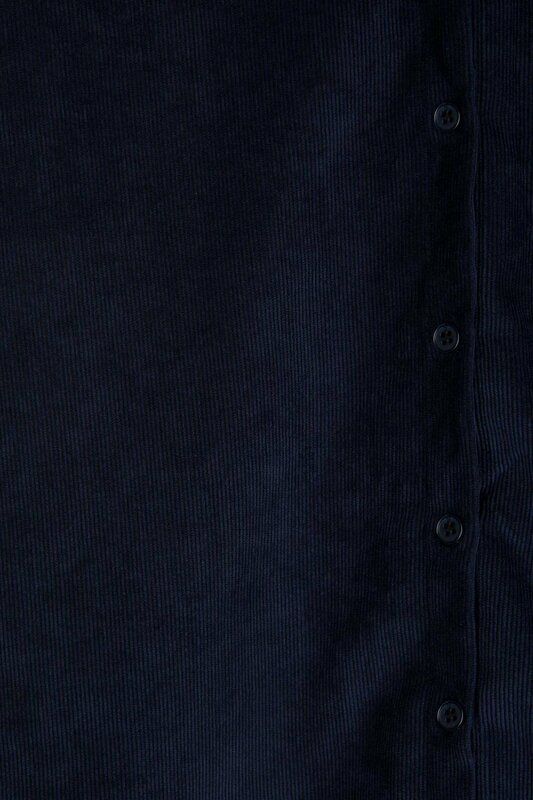 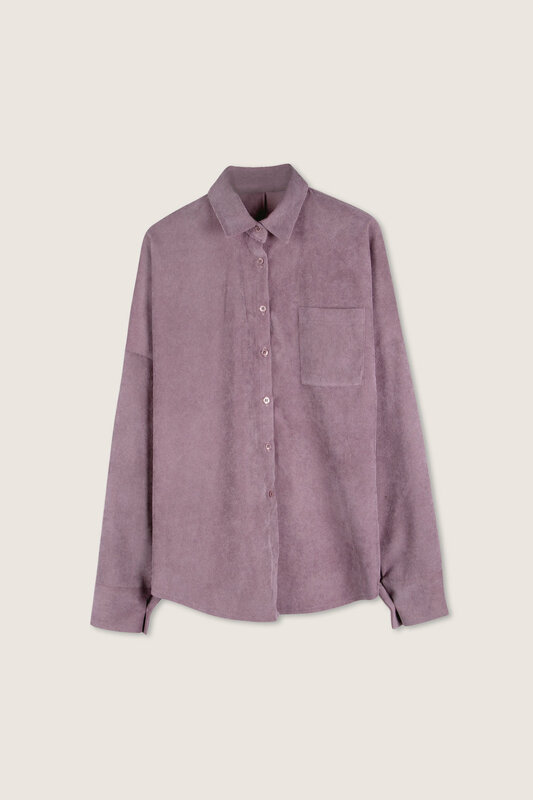 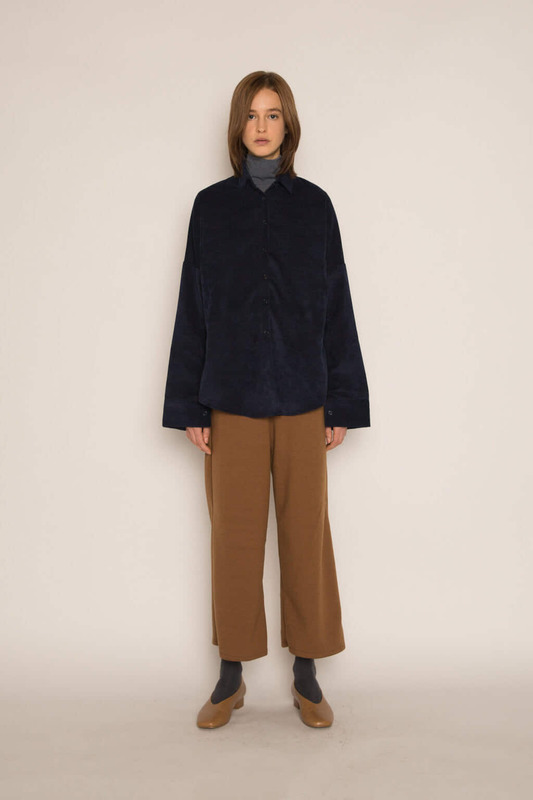 Made from a corduroy-inspired fabric, this blouse has buttoned cuffs and a curved hem that can be easily tucked in. 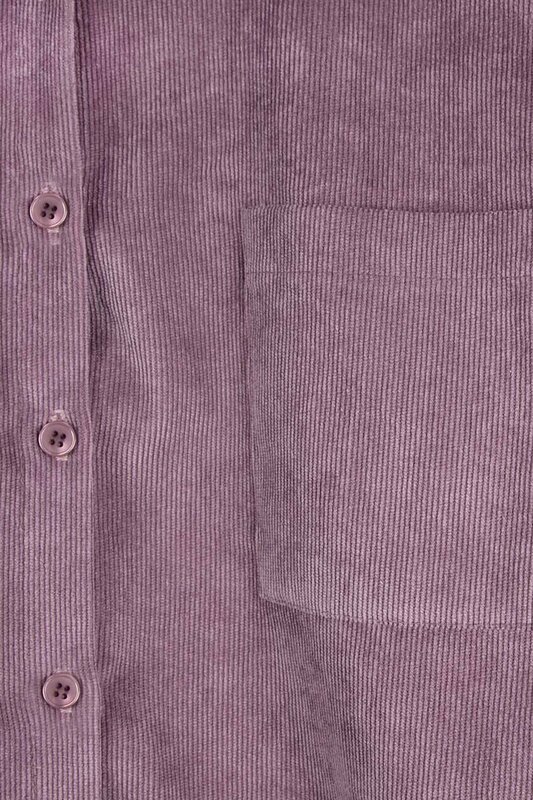 The drop shoulders highlight the relaxed fit and the front pocket adds a nice detail. 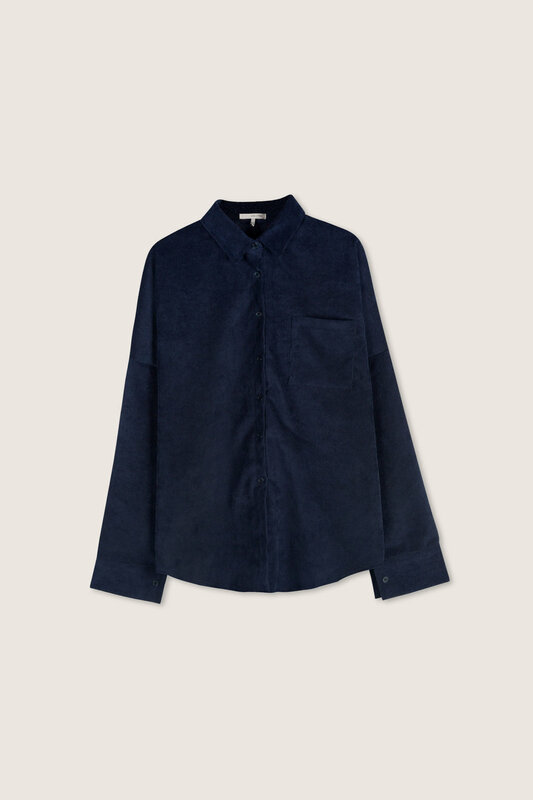 Try tucking this shirt into a pair of high waisted pants and finish off with a pair of mules for a chic weekend look.